After Obama apologized for the strike which the Afghan government claimed killed well over a hundred ordinary country folk, came the report that the families of those killed, and subsequent Afghani dead falling in harms way of the US military, continuing as before, can apply to receive up to $2,000 compensation. This is the price the great United States of American puts on an Afghan or Pakistan human being, while awarding $100,000 to families of Americans who die while fighting and killing wherever. Shocking? Shame provoking? Embarrassing that no Afghani or Pakistani child or parent has any human right at all, including the right not to be blown to pieces in a US drone air strike? - the final insult being the value of their lives put at a mere $2,000 by the wealthiest nation in history? Naw, not within the general public, which more or less accepts this assessment of a well-liked Commander-in-Chief President Obama, and accepts the calculations by his generals and higher officers. In imperialist America, there is not even any interest in such 'war casualties,' considered 'inevitable' by the U.S. government, now led by the Obama administration, as it continues to react worldwide to the Saudi Arabians (and one Algerian and one Yemenite) who suicided themselves into the walls of the Pentagon and World Trade Center in 2001. Why bother to continue amplifying the point of this article? Why bother to remind people that the Prime Minister of Pakistan has demanded that US stop killing its citizens from the air? 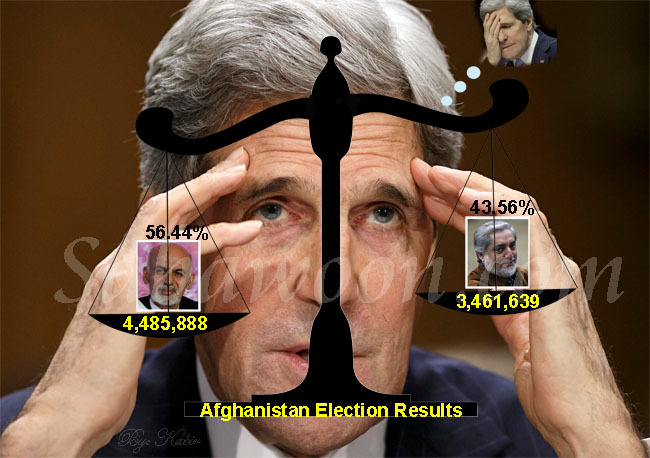 The U.S. installed President Karzai of Afghanistan has pleaded for a bombing halt for years to no avail. His legislature has long called for negotiations with the former governing Taliban, amnesty for all, and the removal of U.S. and other foreign armed forces. But, in any case, who cares? Only the exceptional so called 'bleeding hearts', 'oversensitive' progressives, communists, socialists and overseas anti-imperialists like Presidents Fidel Castro, Hugo Chavez, Evo Morales, Rafael Correa, Mahmoud Ahmadinejad, Daniel Ortega and some others, like Lula of Brazil, who are aware that it is healthier for their country to keep their reaction to themselves. Words, words, words, as drones continue to fire missiles on orders from the popular highest elected official in America. Would that Dennis Kucinich or Mike Gravel were president today. They did not raise their hands. Still more puzzling because the children of nations under US militarily occupation are Obama's and America's responsibility, as Jesus, Obama's Savior, taught, as even more basic than the Geneva Convention's civilian protection signed agreements.